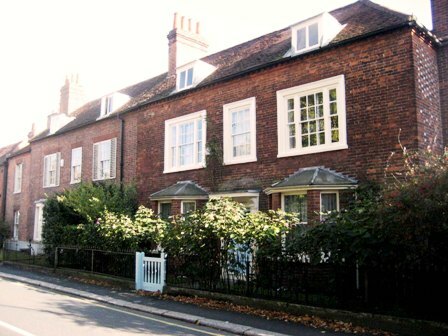 These three modest red-brick Georgian houses appear to be a short terrace but the northern one, Little Dene, was built some time after the other two which were always a pair. There is a persistent local story that they were built as a barracks for troops stationed at Windsor but there is no evidence for this at all. Unusually for the centre of Datchet, all seem to have been newly-built as we see them, although it is possible that The Cottage may contain some earlier timber-framed structure. 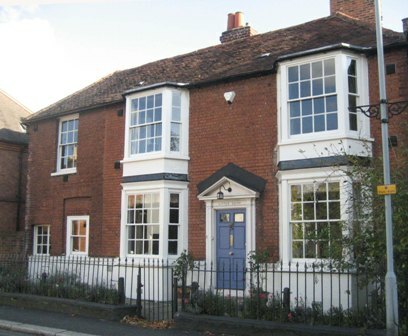 The Cottage with its upstairs shutters and half-round bay windows has probably been little changed, whereas the windows of Clifton House were replaced in the Victorian period and a large extension was built at the back. Little Dene and The Cottage have been extended into the spaces of their original side stable entrances which has created the effect of a short terrace. The names of Clifton House and The Cottage were in use by the 1880s. 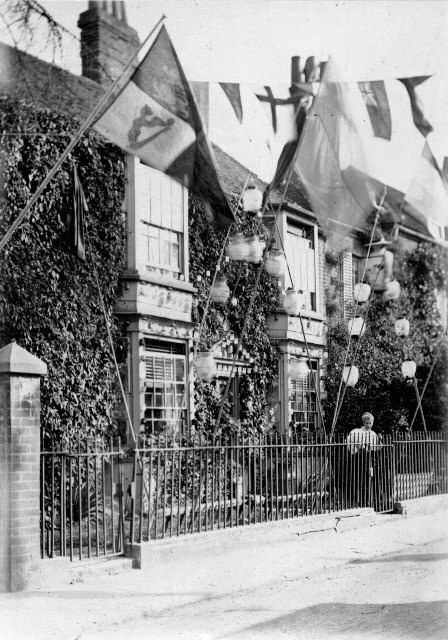 Until recent times Little Dene was under the auspices of the Manor of Datchet St Helen (a subsidiary of the Manor of Datchet) but this legal technicality from the past had little practical effect by the late 19th and 20th centuries. Since 1828 Datchet’s Baptists had held their services in a converted barn in the High Street until in 1841 they built their first Chapel on its site. The present Chapel (1955) is in London Road but the original building still exists, converted as the Candy Box row of shops just north of the level crossing. So Little Dene was in the most convenient place for William Bailey, the Baptist Minister who was a deacon from 1811 and Minister from 1819 until his death in 1844. William Bailey was a wealthy man and owned property elsewhere as well as buying this house for £300 at a time when the majority of people rented their homes. After his death (he was buried in St Mary’s churchyard) his widow, Ann Mercy, rented it to various tenants as she left the village to live in one of her other houses, including Samuel Lillycrop the Baptist Minister in Windsor. In 1871 the house was sold to Thomas Statham (the butcher at Mrs Partington’s present house across the road) for £420. During the Bailey’s time here they were known for their hospitality at Hope Villa (as Little Dene was called until about 1920) where church meetings were held before the new chapel was built. In 1888 the house was again sold, for £580, to John Francis Webb and remained in that family until the 1960s, although occupied by Sybil May Syrett, and the Syretts bought it themselves in 1964. A boarding school for young ladies was established at The Cottage from the mid-1820s to 1850s, although the evidence suggests that at some periods the school occupied Clifton House as well.. Since both seem to have been in the same ownership it is possible that the school occupied both houses or one according to need. 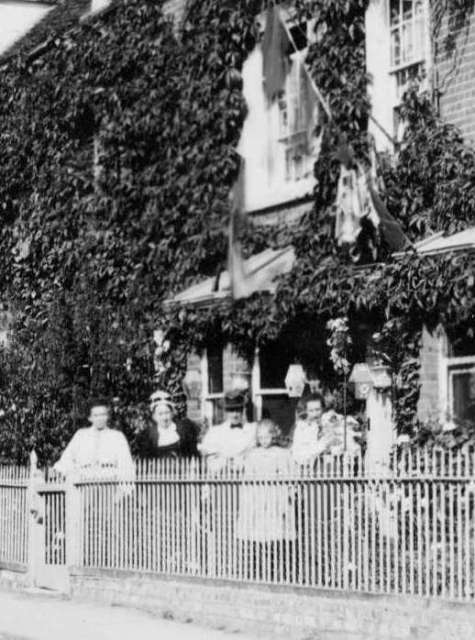 There were other boarding schools in Datchet at this period, one for girls in Cedar House and another for boys at one of the demolished wings of the Lawns in Horton Road. The family of Napoleon Gibbs, a barrister, lived at Clifton House from about 1870 until his last daughter, Florence Mary, died in 1951 aged 90. Their mother Amelia died in 1901 and Napoleon a year later; both of them and their daughters, none of whom ever married, are commemorated by wall plaques in the church. Beatrice Amy died in 1937 aged 78 and Edith Lilian in 1926 aged 60. The censuses list two living-in servants, usually a cook and a housemaid, in their household. 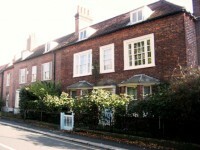 Curiously, next door at St Helen’s Cottage the three spinster daughters of Edward Newman lived during the same period. All the windows in Clifton House have been replaced, almost certainly during Napoleon Gibbs’ time. Earlier in the nineteenth century the Shelton family lived in Clifton House. Maria and Laetitia were the sisters of Thomas Shelton and survived into their seventies when they were recorded in the first census of 1841. These unmarried ladies, like the Gibbs daughters after them, lived to considerable ages: Laetitia died in 1843 aged 77 and Maria Anne two years later aged 82. Thomas Shelton (1756-1829) was Clerk to the Court of Arraigns, Clerk of the Peace and Coroner to the City of London, all these honourable positions being listed on his gravestone which faces the path leading round to the east end of the church, close to the churchyard wall. Near to his grave is that of John Shelton, father to Thomas, Laetitia and Maria, who died 1792 aged 76, and Ann his wife who died in 1810 aged 84. It is fairly certain that this family lived in Clifton House from the 1790s although they did not own it. Thomas Shelton was the uncle of John Clark who became his successor as Clerk of the Peace for London and Southwark and was also Clerk to the Central Criminal Court. John and his wife Martha (died 1858 and 1869) are commemorated on another gravestone close to those of the Sheltons, together with their sons William and Thomas. 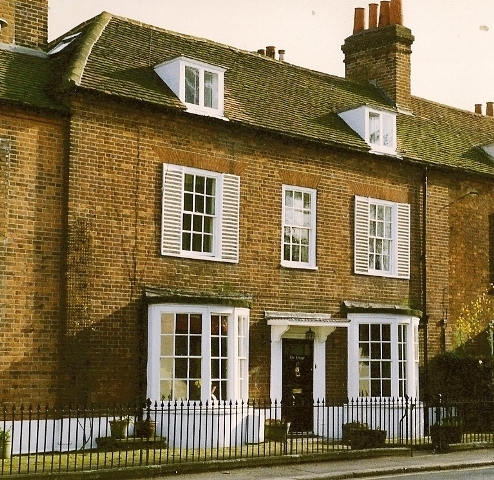 It is very likely that the Clarks followed the Sheltons as occupants of this house, but the latest burials may have been brought back to the family graves in Datchet having lived elsewhere. Clark, Richard (17801856), musical antiquary, was born at Datchet, Buckinghamshire, on 5 April 1780, and is now remembered solely for his efforts, long since discredited, to trace the origins of the national anthem. He was also the author of a far-fetched and no less fanciful tale concerning the tune on which Handel based the well-known set of variations in his fifth harpsichord suite (the so-called Harmonious Blacksmith, HWV 430) which once had some currency. Trained as a chorister at St George’s Chapel, Windsor, he also sang at Eton College, in both of which choirs he succeeded his maternal grandfather, John Sale sen., as lay clerk in 1802. An uncle, John Sale jun., held similar appointments at St Paul’s Cathedral and Westminster Abbey, and in due course these too came Clark’s way (in 1828). In the meantime, he had (in 1811) left Eton and Windsor, and moved to London, where on 3 July 1814 he was elected a member of the Royal Society of Musicians and on 1 October 1820 appointed a gentleman of the Chapel Royal. He was also active in the secular musical life of the metropolis, as secretary of the Glee Club (from 1805), and as a professional member of the Noblemen and Gentlemen’s Catch Club (from 1817). The first household census was taken in 1841 and the most recent one to be opened under the 100 year secrecy rule is that of 1901. Full details of occupants are available online but are here abbreviated to head of household only. In 1866 and 1867 a Bucks County rate survey recorded the name of both owner and occupier, while the 1839 Datchet Parish poor rate survey listed only the occupant or tenant. 1866 owner Mercy A Bailey, occup Shoppee owner Mrs Adams, occup T Bird & another? 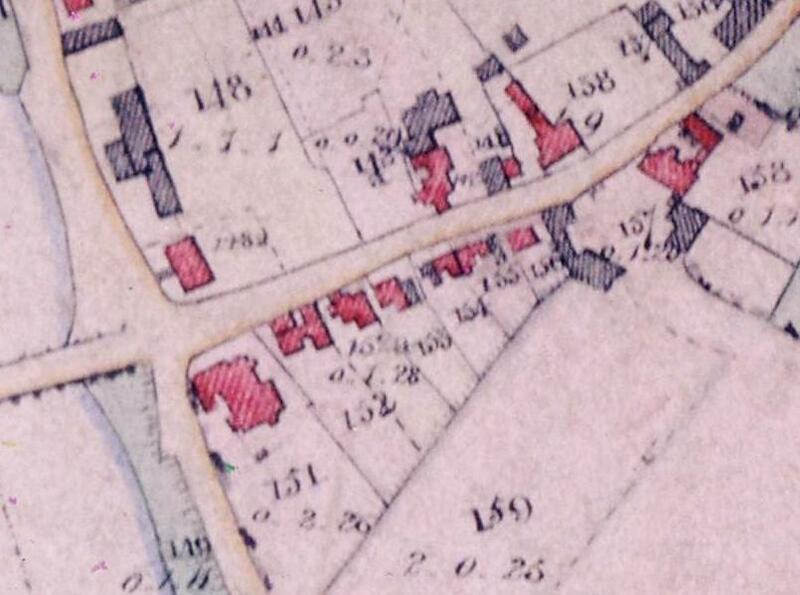 plot 157 (grey) & 158 (red) old farmstead mostly lost to railway line & AvenueThe map shows that the Cottage & Clifton House originally had outbuildings or stables at the sides. The first reference to Little Dene (though not by any name) is from the Manor Court Roll for 1800. In describing the situation of The Cottage/Clifton House, ‘premises once of Dell and then Carter, now in occupation of John Wallis to the north’ refers to the old farmstead (plots 157 & 158) and the tenant farmers John Dell and John Carter, but by 1800 the Little Dene house had been built in a plot adjacent to the farmstead so that it was then to the north of the other houses being described. (This is how the tortuous interpretation of MCRs works!) The identification is confirmed because it was recorded in 1813 that Mary Wallis sold the house to William Bailey for £300. While this information does not give an actual building year, a date in the late 1790s (ie by 1800) is reasonable for its style. These two can be similarly traced back through changes of ownership which correlate with the later censuses and surveys. They are described in relationship to the farmstead or Little Dene to the north and St Helen’s Cottage to the south. In 1813 the sale of Little Dene refers to a dwelling late of William Deall, now John Eaton to its south (The Cottage), while in 1807 the death of John Eaton is recorded and the inheritance of his two houses by his daughter Mary. The occupant of The Cottage was then Mary Eaton, with Thomas Shilton (ie Shelton) at Clifton House. 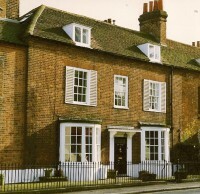 John Eaton had acquired both houses in 1803 from William Deall, described as once belonging to Robert and Mary Wiman. The next reference in 1766 records that the Wimans sold to James Nightingale, ‘two messuages (ie dwelling houses) formerly one’, a description which first occurs in 1762. Previously, in 1746, the young son of John Wiman had inherited ‘one messuage’, as in transactions which can be followed back to 1719. The implication of these descriptions is that either another house was built adjacent to the one original dwelling, existing by 1719, or that both were built on the site of an older house sometime between 1746 and 1762. The Cottage may contain parts of an earlier timber framed house, so the current theory is that the Wiman family almost completely rebuilt the original house and added a matching pair next to it, both in a fashionable symmetrical Georgian style. The likely date would then be between 1746 and 1762, which is acceptable for these modest brick cottages. John Whyman of Langley was described as an architect when he bought land at Southlea in 1711 to build Sandlea Court, so the family may have continued to be involved in building or development. 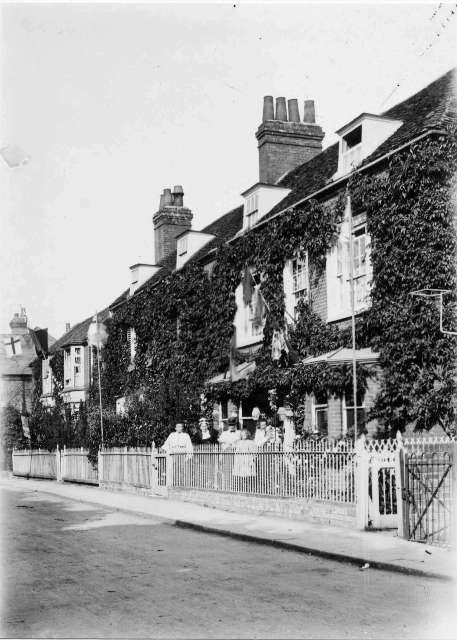 For the earlier history of these houses we rely on the records of Datchet Manor. The manorial system was based on the feudal view that all land and property technically belonged to the Lord of the Manor (and through him ultimately to the Crown) and all transactions were dealt with by the Manor Court. The minutes of the court’s proceedings (Court Rolls) detailed all sales and changes of ownership or tenancy, so that if a property can be identified at all, a complete record may exist from the mid 16th to the late 19th century.